Dr. Reed has a fantastic wife, Lynn. 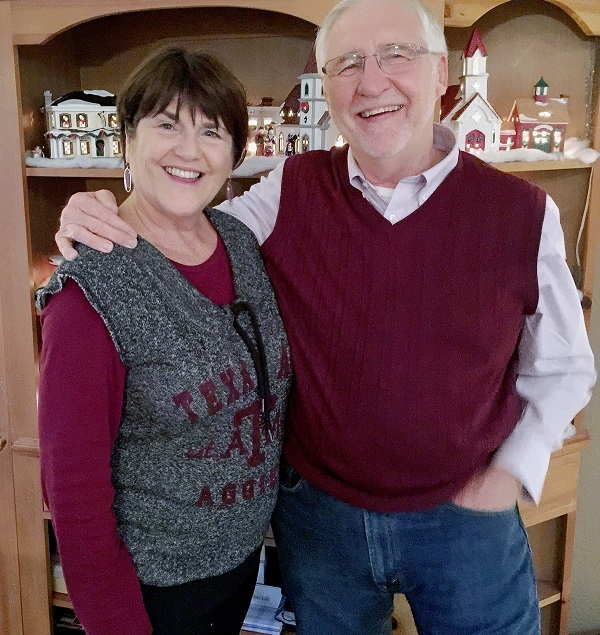 Both Dr. Reed and his wife Lynn were born and raised in small towns in south Louisiana. Lynn is from Palmetto, LA. Dr. Reed was raised on the banks of the Atachafalaya River in Krotz Springs, LA. 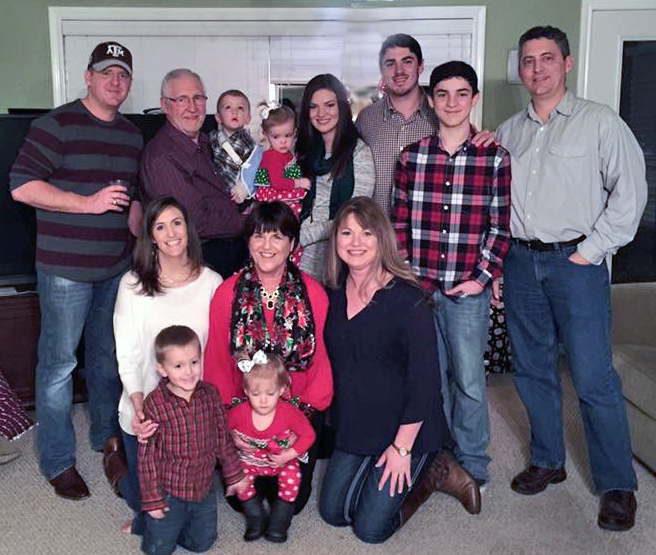 Dave and Lynn have a great family, including a batch of older grandkids and younger grandkids. They have two great kids Lori and David. Lori is the oldest, is the most wonderful daughter a dad could have, and is married to Brett Roderick (Brett's alright too). 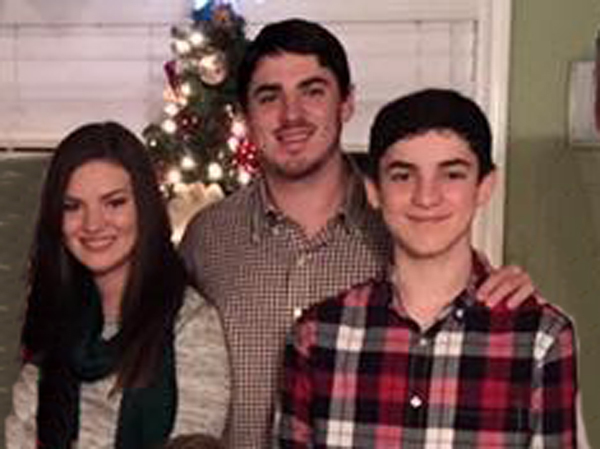 Lori and Brett have blessed Grandpa Dave and Nana Lynn with three fantastic grandchildren, Ryan, Katie, and Jackson. Dr. Reed loves his daughter's philosophy that it is the grandparent's job to spoil the grand kids, of which Grandpa and Nana are doing a masterful job. David is Dr. Reed's best buddy, and he is married to a fantastic daughter-in-law Della. 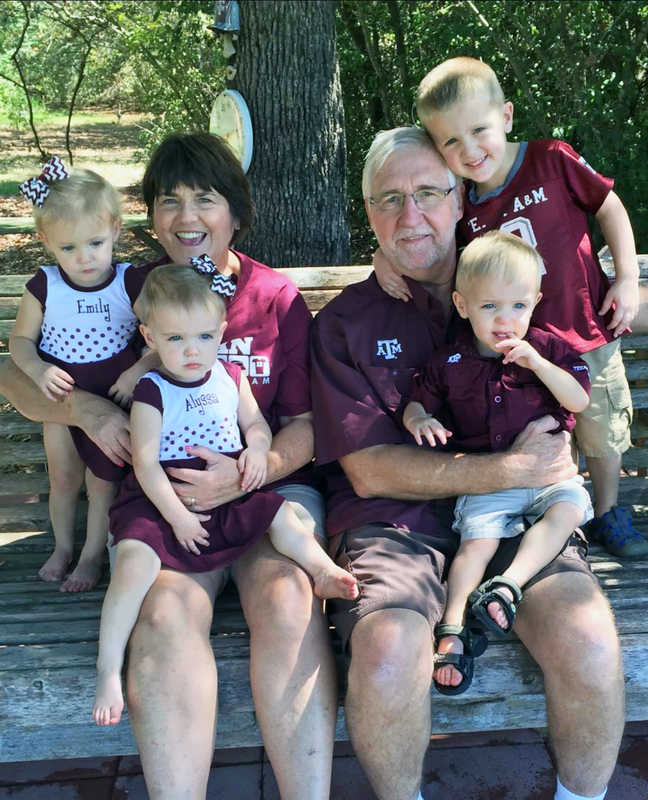 For fun, Dr. Reed likes outdoors, hunting, fishing , working in the shop, playing with his grand kids, and in the spring Aggie baseball. Dr. Reed also likes to cook cajun and camp food, and if you like you can see some of Dave's Cajun and Camp Cooking Recipes. Dr. Reed received his B.S. in 1974 with a major in Horticulture from the University of Southwestern Louisiana in Lafayette, LA. He received his M.S. and Ph.D. in Floriculture and Ornamental Horticulture from Cornell University, Ithaca, NY, in 1977 and 1979, respectively. He joined the faculty of the Department of Horticultural Sciences at Texas A&M University in the fall of 1978. He is also a member of the Intercollegiate Faculty of Molecular and Environmental Plant Science. He also serves as the Associate Head for Graduate Studies in the Department, Chairs the Graduate Program Council of the College of Agriculture and Life Sciences, and is a member of the University Graduate Council. Over the years, Dr. Reed has taught the undergraduate courses HORT 201 and 202 (General Horticulture and its lab), HORT 320 (Foliage Plant Production), and the graduate courses HORT 602 (Environmental Relations of Horticultural Crops), HORT 604 (Applied Physiology of Horticultural Crops), and FLOR 616 (Asexual Plant Propagation). He taught Applied Physiology of Horticultural Crops at the University of Peradeniya, Sri Lanka as part of a US-AID project. Currently, he teaches HORT 201 every fall and spring semester, and HORT 604 every other spring. His "favorite" course over the years has been HORT 201 - General Horticulture. There have been many memorable moments in HORT 201 over the years. If you want to view a few, they can be seen at Classic Videos from HORT 201. To capitalize on both the good and bad experiences with each student to improve my effectiveness as a teacher. To set the student at ease and become their friend and mentor, while still maintaining a strong authority figure. To present the information in a manner that makes the student "want to learn". To maintain very high expectations of the students so their true ability is tested and maximum potential is achieved. To help each student to become "thinkers". Ultimately, to become the kind of teacher like the precious few who truly inspire students past their on dreams and expectations, just as those selected few teachers have inspired me in my education and academic career. Dr. Reed states "Learning and wanting to learn is contagious. I must walk into the classroom with a solid knowledge base and a level of excitement and interest in the subject matter that it makes the students want to learn." At the graduate level Dr. Reed states "My goal in graduate education is to create an academic and research environment that allows developing graduate students to reach their maximum potential. This sometimes means' spoon feeding' to get them started, but also at times removing highly structured guidance to allow development of independence and originality. In return, I expect graduate students to input maximum effort and a high degree of enthusiasm and originality into their graduate course work and research." The research in Dr. Reed's laboratory centers on the nutrition and physiology of ornamental crops, with special emphasis on greenhouse crops. Research in Dr. Reed's lab has involved iron nutrition and adaptation of plants to alkaline soil and irrigation water. This entails both field screening trials and laboratory characterization of the iron reductase enzyme. Other research areas studied in Dr. Reed's lab include salt stress and the effect of saline and alkaline irrigation water on N-P-K nutrition of greenhouse crops; identifying optimum N-P-K requirements in subirrigation systems; mechanism of foliar/cuticular absorption and damage from foliar sprays; and cultural practices of greenhouse crops, such as use of growth retardants. Dr. Reed's most recent research effort has been in developing systems that minimize water use and fertilizer run-off from greenhouses. The current focus is on water quality and characterizing toxicity limits of salts in irrigation water. Horticulture - Science and Practices, D.W. Reed, 1999, Burgess Publ., Edina, MN. General Horticulture Laboratory Manual, D.W. Reed, 1993, 2nd Edition, Burgess Publ., Edina, MN. Water, Media, and Nutrition for Greenhouse Crops, 1996, D.W. Reed, Editor, Ball Publishing, Batavia, IL. Campos, R. and D.W. Reed. 1993. Determination of constant-feed liquid fertilization rates for Spathiphyllum 'Petite' and Dieffenbachia 'Camille' J. Environ. Hort.. 11(1): 22-24. Campos, R. and D.W. Reed. 1994. Influence of irrigation water salinity on optimal nitrogen, phosphorus and potassium liquid fertilization rates for Spathiphyllum ‘Petite’. J. Environ. Hort. 12(2):104-107. Cinelli, F., R. Vin, D.H. Byrne, and D.W. Reed. 1995. Physiological characterization of two peach seedling rootstocks in bicarbonate nutrient solution. I. Root iron reduction and iron uptake. In Iron Nutrition in Soils and Plants, J. Abadia (ed. ), Kluwer Academic Publishers, Netherlands. Egilla, J.N., D.H. Byrne and D. W. Reed. 1994. Iron stress response of three peach rootstocks cultivars: Ferric iron reduction capacity. J. Plant Nutr. 17(12):2079-2103. Kent, M.W. and Reed. 1996. Nitrogen nutrition of New Guinea Impatiens ‘Barbados’ and Spathiphyllum ‘Petite’ in a subirrigation system. J. Amer. Soc. Hort. Sci. 121(5):816-819. Rosenfield, C-L., D.W. Reed and M.W. Kent. 1991. Dependency of iron reduction on development of a unique root morphology in Ficus benjamina L. Plant Physiol. 95:1120-1124. Shi, Y., D.H. Byrne, D.W. Reed and R.H. Loeppert. 1993. Iron chlorosis development and growth of peach rootstocks to bicarbonate. J. Plant Nutr. 16(6):1039-1046. Todd, N and D.W. Reed. 1998. Characterizing Salinity Limits of New Guinea Impatiens in Recirculating Subirrigation. J. Amer. Soc. Hort. Sci. 123:156-160. Yan, S., D.H. Byrne, D.W. Reed and R.H. Loeppert. 1993. Influence of bicarbonate level on iron-chlorosis development and nutrient uptake of the peach rootstock Montclar. J. Plant Nutr. 16(9): 1675-1689.